We said in our 2013 elite marathon schedule preview that the year of an Olympics is always hard to follow in terms of spectacle. 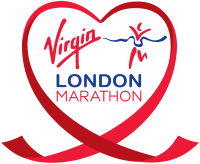 For the 2013 Virgin London Marathon it was always going to be a big ask to back up after hosting the Olympics, but wow, have they answered the call in the most spectacular way with what is been called the best ever elite men’s field for a Marathon. The race will feature 11 men who’ve completed the distance in under 2:06, all three medallists from the London 2012 Olympic Games Marathon and the winners of the 2012 Berlin, Chicago, London, Frankfurt and Dubai Marathons and both the official and unofficial world record holders for the marathon distance. 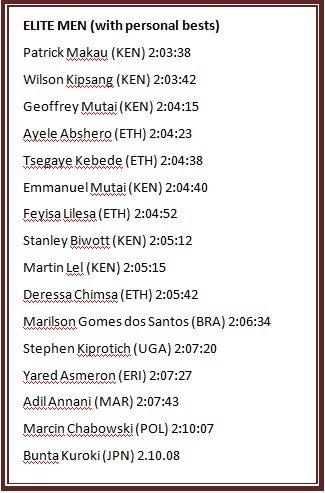 The entrant list is like a who’s who of marathoning; London Olympic gold medallist Stephen Kiprotich, world record holder Patrick Makau (2:03:38), reigning World Marathon Majors champion and Boston 2:03:02 record holder Geoffrey Mutai , Olympic silver medallist Abel Kirui, 2012 Chicago marathon champion Tsegaye Kebede, 2012 Dubai winner Ayele Abshero (2:04:23) and former London winners Martin Lel (2:05:15) and Emmanuel Mutai (2:04:40). 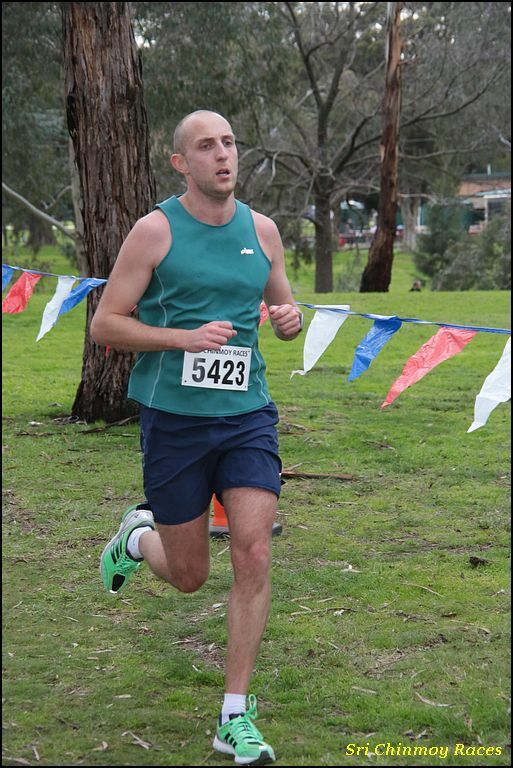 For first time organiser Hugh Brasher it is a reason to be excited. “We’re delighted to welcome all three medalists from the London 2012 Olympic Marathon to this year’s Virgin London Marathon,” said Brasher. “The Olympic stars will line up alongside the world’s best distance runners in what promises to be a remarkable battle between the strongest men’s field ever assembled for a marathon. The women’s race, while not as star studded, is still impressive. 2012 gold and silver Olympic medallists Tiki Gelana and Priscah Jeptoo will be in the headlines along with prominent Kenyan’s Edna Kiplagat and Florence Kiplagat. All eyes though will be on a marathon debutant. Three times Olympic gold medallist (5,000m – 2008, 10,000m – 2008/2012) Tirunesh Dibaba will be stepping up to the marathon distance for London. In addition to her Olympic glory she has a half-marathon PB of 1:07:35. 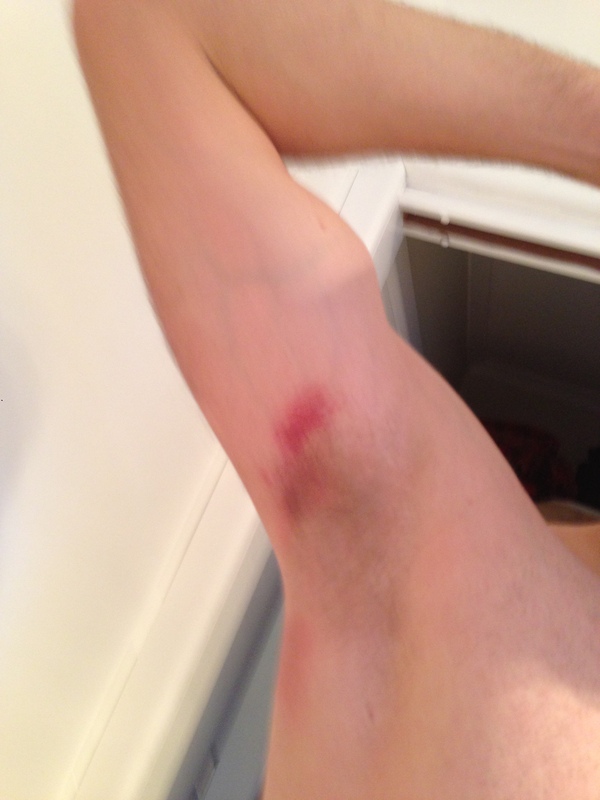 It will certainly add spice to what is already an intriguing race. 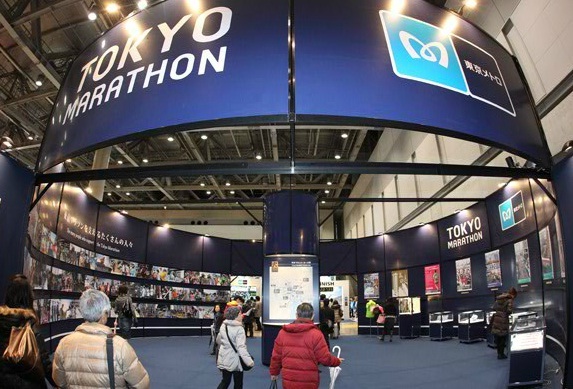 If you have any interest in elite marathon running, be sure to set April 21 aside in your calendar – this is a more than worthy successor to the Olympic memories. 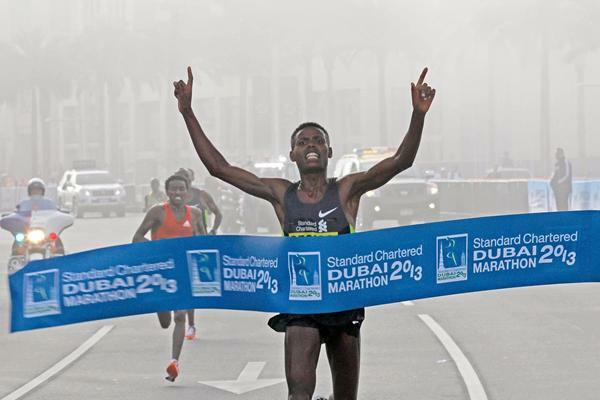 Two days before the 2013 Dubai Marathon, we wrote in our race preview that ‘While it will be an open race, that can often make for the most interesting – and if past performance indicates anything the course will do its part to make for a fast time’. The course did not disappoint and we are still catching our breath – five finishers in the men’s race finished sub 2:05 and the winner of the race was again a relatively unknown Ethiopian on debut, and now already talking about a possible tilt at the world record in future races. It took to the final 200 metres, but it was 23 year old Ethiopian Lelisa Desisa who had the kick at the end to win a sprint finish and cross the line in 2:04:45. Four more finishers crossed the line in the next eight seconds meaning for the first time in the history of the marathon there were five finishers under sub 2:05. It was an all Ethiopian podium with Berhanu Shiferaw second in 2.04.48; compatriot Tadese Tola clocked a personal best 2.04.49 in third and yet another Ethiopian, Endeshaw Negesse, holding on for fourth in 2:04:5. Kenyan debutant Bernard Koech finished fifth with 2:04:53. Desisa finished 22 seconds slower than last year’s time by Ayele Abshiro however there was talk of faster times after the race. Although largely unknown his win is not surprising; he has a 27:18 10,000m personal best and multiple sub-60 half marathons with a 59:30PB. Ethiopians took seven out of the first ten places with Kenya taking the other three. Kenya’s pre-race smokey was debutant Moses Masai, however he failed to challenge and finished 17th overall in 2:11:00. The women’s race was a little more predictable with pre-race favourite, Ethiopia’s Tirfi Tsegaye, living up to the hype and winning in 2.21:19. 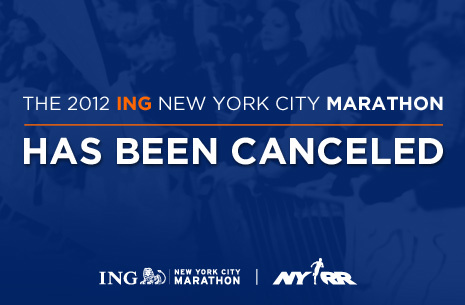 There was talk of sub 2:20 pre-race but it was not to be. Following earlier announcements of the return of the defending champs and of the Americans in the field, the full elite field was today confirmed by the Boston Athletic Association. 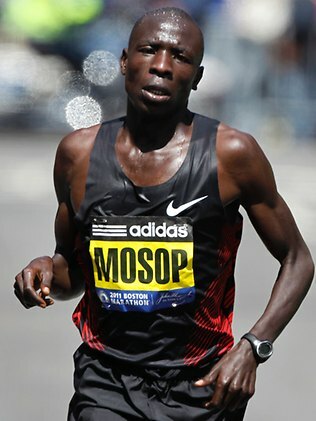 Joining defending champs Wesley Korir and Sharon Cherup will be a strong elite field, headlined by 2:03:06 Boston runner Moses Mosop (recognised PB 2:05:03). 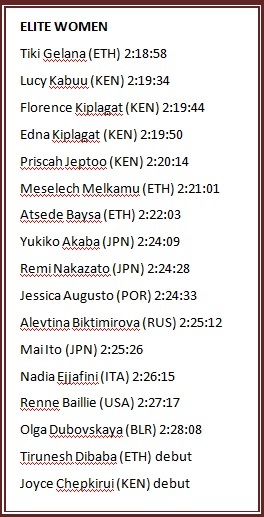 Gebre Gebremariam of Ethiopia has also returned who finished one place behind Mosop in 2011, recording 2:04:53 on the unofficial marathon course. Last year’s runner-up Levy Matebo has also committed to racing, while there is a number of Olympic marathoners down to run including Americans Ryan Hall and Meb Keflezghi, Australian Jeffrey Hunt, Canadian Eric Gillis and the feel good story of the London Olympic marathon, Guor Marial from South Sudan. Marial was granted refugee status in the U.S. after fleeing Sudan during the Civil War where eight of his siblings were killed. Marial, now a U.S. resident, went to high school in Concord, New Hampshire, and college at Iowa State. After qualifying for the 2012 Olympics, but not yet having a country to run for, the International Olympic Committee honored him with entry to participate under the Olympic Flag. 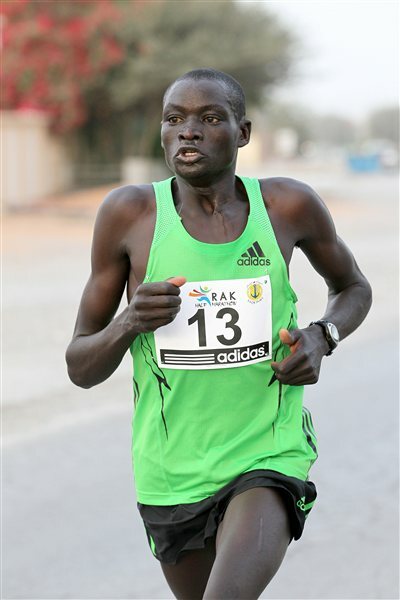 Former Boston champion and former course-record-holder Robert Kiprono Cheruiyot of Kenya also returns to the John Hancock Elite Athlete Team and will be joined by the 2012 Eindhoven course-record-holder Dickson Chumba, also of Kenya. Additional talent from Ethiopia includes 2011 Los Angeles champion and course-record-holder Markos Geneti, 2012 Paris and Mumbai runner-up Raji Assefa and the 2012 Hamburg and 2011 Toronto winner Shami Abdullah Dawit. 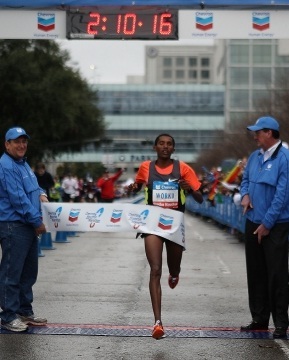 In freezing conditions Ethiopia again stated its dominance on Houston, winning the men’s and women’s marathon and half-marathon. 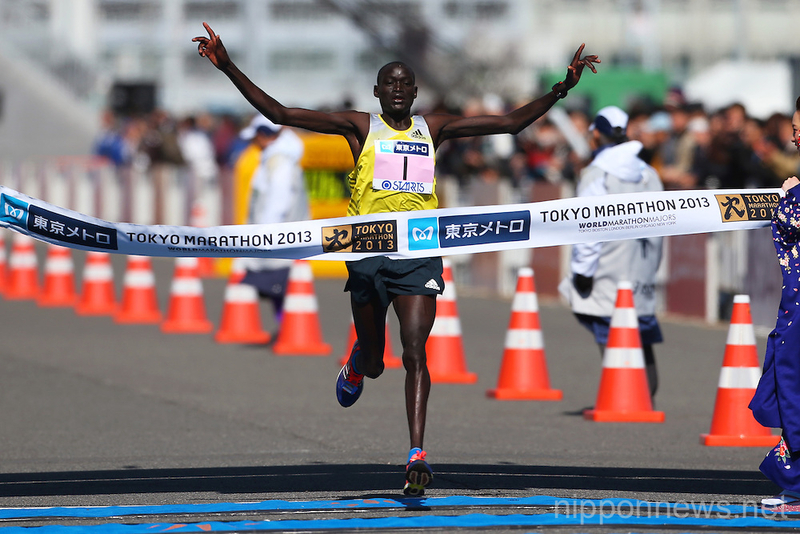 Pre-race favourite Bazu Worku was able to claim his maiden marathon title, crossing the line in 2:10:17. 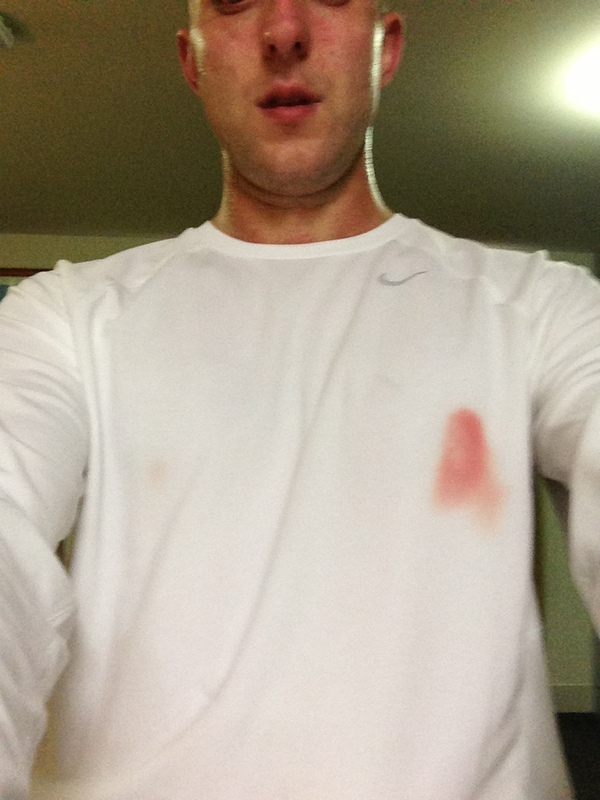 Despite having a PB almost five minutes faster, Worku was happy to record the win in rainy, cold conditions. “I’m very happy I won. 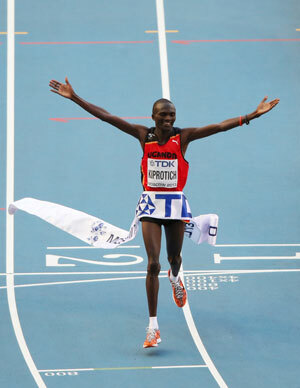 The weather was not cooperating with us,” Worku told media after his win. Emerging star Merima Mohammed narrowly missed the woman’s course record, the 20 year old winning in 2:23:37. 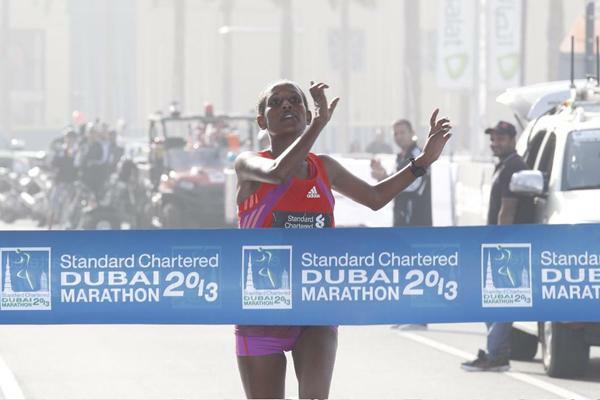 In the challenging conditions she broke away from compatriot and main rival Buzunesh Deba at the 33km mark and never looked back, eventually winning by just under a minute. Mohammed missed the course record by just 23 seconds and was only 33 seconds off setting a new personal best. Mohammed said to media after the race that she has plans to go faster. 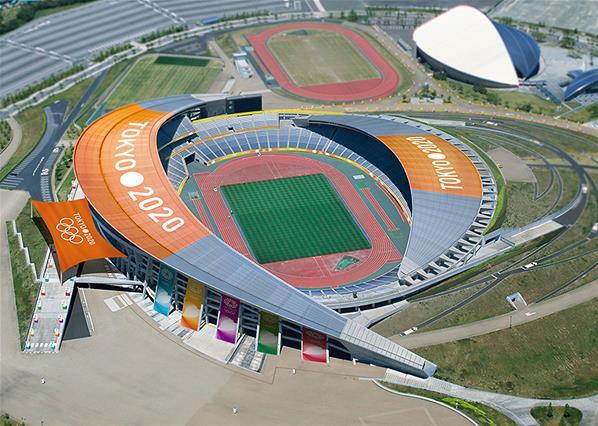 “In the future, I would like to do much better, maybe into 2:18,” Mohammed said. Before the race all eyes were on the men’s half-marathon field with a $50,000 incentive for a new world record. 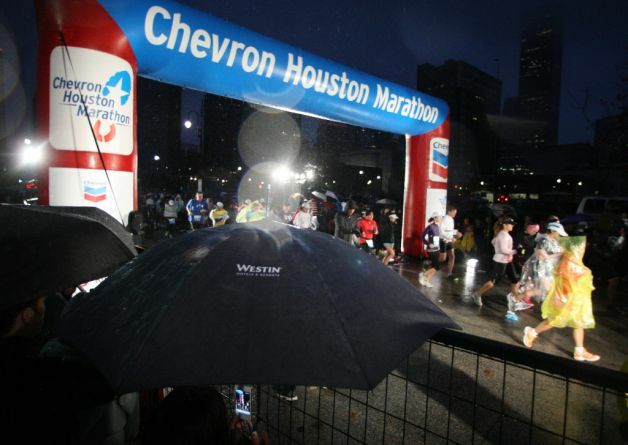 It turns out the sponsors (marathonguide.com) money was never under any real threat, the weather leading the eventual winner, defending champion Feyisa Lelisa, breaking the tape in 1:01:54, three and a half minutes outside the world record. “Since the weather was so bad, I just wanted to win,” said Lelisa. The women’s half-marathon was won by Mamitu Daska in 1:09:53, more than two minutes ahead of second place finisher Caroline Kilel of Kenya. 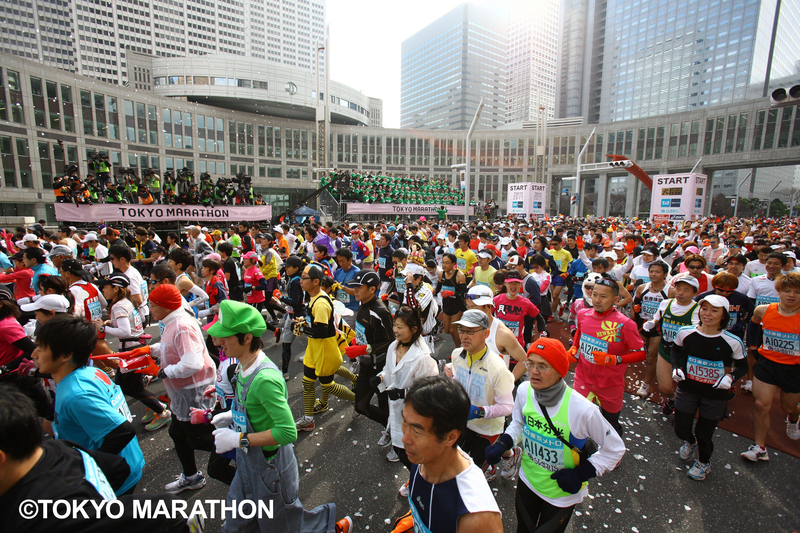 More than 25,000 athletes raced either the marathon or half-marathon event on Sunday.